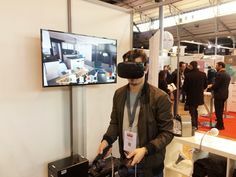 Founded in 2007 by Laurent Soubrevilla, VISIMMO 3D is a cutting-edge technology company, based on a strong culture of innovation and structured around five business units: property, corporate communication, events, specialized training and R&D. VISIMMO 3D has expertise in the design of highly interactive 3D solutions for marketing and sales, combining high-quality visuals, intended for companies wishing to strongly position themselves in an innovative way. 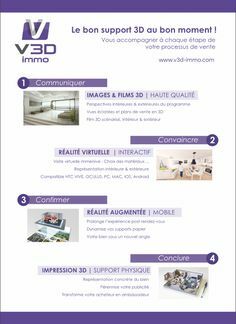 V3D Immo is one of the leading French companies in the field of 3D virtual tours, focusing on helping property developers and house builders. In the last 5 years, over 300 projects have been completed, in a constant concern for quality and customer satisfaction. 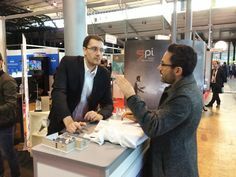 Working with more than forty customers, V3D Com is one of the pioneers of the digital transformation. This business unit is constantly innovating and diversifying its activities, beyond corporate communications and advertising, to assist companies with groundbreaking interactive solutions (3D simulators, space configuration, interactive movies…). 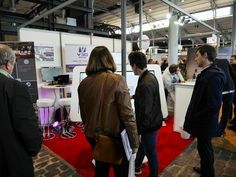 V3D Events is the first 3D virtual fairs operator in France, committed to event organisers with, since 2009, a clear policy on positioning: we provide a software platform that includes the most innovative technologies, allowing to organize events on the Internet and create qualified leads. 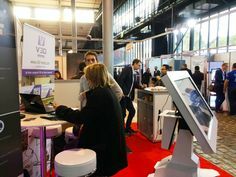 The company generates nearly half of its business through V3D Events, which is also the product that allowed VISIMMO 3D to develop internationally. At the end of 2009, VISIMMO 3D acquired the certification “training organization”, thus adding leading-edge skills to its activity. In 2010, V3D Training has revolutionized the market being the first to launch “GPGPU” offers in the market. Finally, thanks to V3D Labs, VISIMMO 3D goes even further and prepares the innovations of the future, with the help of the R&D cell. Our innovation efforts are always focused on the customer needs and are also operational and effective solutions-oriented. The loyalty of its customers and its international development are the best recognition of its cutting-edge internal skills that combine expertise in 3D computer graphics and IT developments, at the forefront of technology.